In some circles (perhaps especially among millennials), being an employee has a stigma attached. When asked to think of ‘an employee’, many people will conjure up images of people working soulless jobs in little cubicles under artificial lights. Indeed, there are many employees doing those types of jobs right now. If that is you, my only advice would be to get out as fast as you can! Life is far too short for you to do work you hate for people you don’t like. But employment doesn’t have to be this way. There are now companies that offer employees great benefits packages, inspiring working environments and incredibly rewarding positions. For some people, employment will be the destination, for others, it is just a stop on the journey. 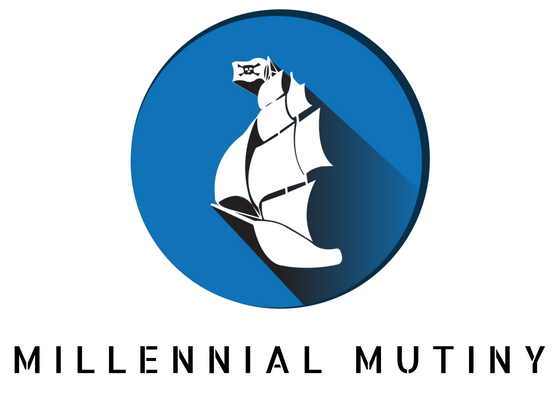 So Can You Reach Financial Independence Just By Being An Employee? The simple answer is, in my view, not really. You can however use your employment to help you reach Financial Independence. My view is that you can’t ever achieve Financial Freedom by being an employee alone. If you are employed, no matter how good your employer, your fate is always reliant to some extent on factors outside of your control. What happens if your employer goes bust? How about if you are made redundant, or you get sick? In most cases, no matter how good, employment will always carry these risks. With all of this said, if you currently love your job (note that I use the work love and not just ‘like’ – I believe that there is a job out there that everyone can love), you can use your employment income to help create your Financial Freedom. Whenever I hear someone say that ‘I can’t wait until 5pm’ or ‘how long is it until I can get out of here’, that just tells me that they are in the wrong job. I am fortunate to LOVE what I do. When I get to the end of my work day, I am sitting there wishing there was another 4 hours in the day so I can continue working on whatever exciting project I have on the go. Some people might call that sad, but if the alternative it getting up every day dreading the next 8 hours and wishing my life away, I know which option I would choose every time. If you don’t feel the love in your current job, you are in the wrong job. Period. We all have the occasional bad day – every so often I just want to go home and curl up in bed like everyone else. But if those days are anything more than the occasional exception – then you need to find a new job – plain and simple. So, from this point onwards, I am going to assume that you do work that you love. If not – start there. When passion combines with skill and expertise, your earnings will skyrocket way beyond what you dreamed possible. In order to be truly Free, you will need to use your employment income to achieve a high savings rate and then invest your excess income until you have a sufficient lump sum to live from and be financially independent. As an employee, perhaps more so than on any of the other paths you can take to reach Financial Freedom, you will need to really focus on your savings rate. In many cases, your capacity to increase your earnings as an employee will be limited (although I have a couple of suggestions for you below), but you will also need to combine your employed position with sound savings and investment strategies and maybe a side hustle as well. In the first instance, you should aim to increase your savings rate as high as possible by reducing your expenses. Focus on basic expenses first so that you don’t sacrifice too much of your lifestyle. Once you have done this, there are a few other things that you can do to increase your savings rate really fast. This sounds so obvious and so simple, but yet so few people actually do it on a regular basis. Asking for a pay increase can be a really scary thing. There is the fear of rejection, the fear of your boss saying ‘no’ or worse and always the possibility that you will lose favour with the management of your firm because you are ‘being a pain’. In reality however, most of these things tend to be in our own head. Especially in smaller companies (where the pay structure tends to be based on the owners decisions, rather than a more bureaucratic structure), just asking for a raise can be enough to make it happen. There are many strategies that you can use to ask for a raise, but I prefer to use plain old logic and justification. Try to work out the value that you add to the company. If you are in a sales role, this is fairly simple – you can simply look at the volume of sales you are driving for the business and the profit that those sales create. In other types of position, your value can be a little bit more difficult to quantify in monetary terms, but try your best all the same. Compare your value to your salary. If your salary is higher than your value, you should probably be quite worried! I would suggest you hide under a desk and hope nobody finds you! If your value is higher than your salary (and it really should be), then you can go ahead and ask for a raise. Note that you should not expect to get a salary that is equal to your value. It is only right that the company should generate a profit from your work too. How much you ask for will be heavily dependant on your industry or profession. In some software sales roles, where there is a massive profit margin, it is common to receive up to 50% of the total value that you generate. Other businesses have far lower margins and if you work in a grocery store for example, the profit margin on the sales you are making is probably far lower. You should do thorough research on your company and check how much money they are making and what their profit margin is. If you work for a very large company, you can probably find this information in the company accounts, which will have to be published if your business is listed on the stock exchange. For smaller organisations, you will have to either try to find out from someone in the know or make a best guess. In the Financial Planning business, I believe a company should pay staff around 1/3 of their total value. This leaves 1/3 for a company to pay for space, heating, lighting and all of the systems they use and then 1/3 to allocate to profit. Of course this will be very different indeed in other businesses. You should also look at other jobs in your sector and compare what’s on offer to your current package. Many employers under-pay staff not because they don’t value them, but because of apathy and inertia. If no-one is complaining, why give them a raise? How much you ask for in terms of a raise is really up to you, but just be aware that a raise of 10% or more is going to seem like quite a big deal to your boss, so if you are asking for more than 10%, make sure you have some really good data on your value to the firm and also your market worth. Anything less than 10% and I reckon there is at least a 90% chance that your boss will simply say yes. It can be really expensive to replace an employee and if you are a hard working, valuable employee, then your boss will not want you to go. The other thing to think about here is the time that you ask. Make sure that you catch your boss at a time when they are going to be relaxed and receptive to your request. Just after a major client has taken their business elsewhere. Bad time to ask. Right before they run out of the door on a Friday evening to head out for dinner. Bad time to ask. Just after the company has just broken a new sales record and they have the afternoon free. Great time to ask. It also really helps if you can manufacture a period of really good performance running up to your request. 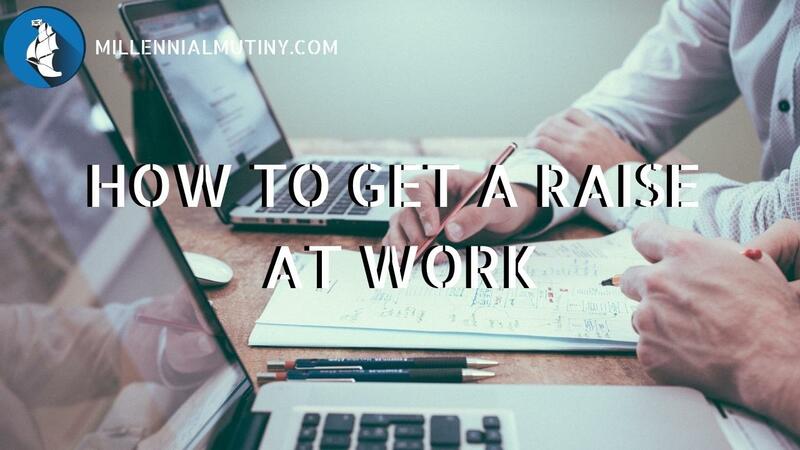 Perhaps you do a few hours of overtime or get in a bit early to make sure that you have really had a few flying months before you ask for your raise. Once you are armed with your value, your worth in the market and you know how much you are going to ask for and when, it is time to have the dreaded conversation. Note that I wouldn’t mention the other roles in the market in the first instance. Your boss may well say yes based on the above conversation without the need for any more information. Only if you get resistance, then you can pull out the market value card if required. If you work in a big company, you also need to get really comfortable with any bonus system and the method the company will use to decide on pay-rises. These structures tend to be far more formal and rigid in larger organisations. You can’t change the system and nor can your boss generally, but what you can do is make it work to your advantage. When I was working at the bank, the first thing I did was download all of the documents about the bonus and salary increase system so that I could make the most of what was on offer. To this day, I am amazed by the number of people who had been working the same job in the bank for years and didn’t even know these documents existed, let alone how to manipulate the system to their advantage. Very often, large businesses will pay bonuses for things that might seem unusual. When I was working for a big life assurance company, part of my bonus was linked to the number of people I signed up to their online portal, which was totally free to the client. Many people didn’t make the most of this and missed out on valuable bonus as a result. I hope you find success in asking for a raise. This can be one of the easiest ways to increase your savings rate and get on track to Financial Independence. Please do message me and let me know how you get along!